Oklahoma City, OK (USA) -- Q.Over the past couple of years, we have befriended a group of Vietnamese monks at their temple, across from where we keep our horses. 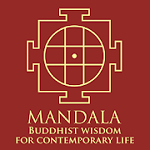 A.The Buddhist monastic order is known as the Sangha, one of the Three Jewels of the faith. The other jewels are the Buddha and the truth, or Dharma, which he taught, as contained in Buddhist writings. Each Sangha or community of monks has four major purposes. The monks, who in the Mahayana Buddhist tradition may include nuns, first serve as teachers of the faith. They recite scripture and explain to laity the meaning of the Four Noble Truths, which serve as the bedrock of Buddhist belief, and the Noble Eight-fold Path, which is the practical way that a believer may attain enlightenment and eventual Nirvana. The monastery also plays a central role in Buddhist rituals and rites of passage. Among the most important of these roles is a monk’s presence with a believer during the process of dying. The monk’s prayers are believed to help a soul overcome fear of dying and to get a proper start in the next step of reincarnation. In most parts of the Buddhist world, the ritual function also includes leading regular worship. The Sangha’s third function is to serve as an example of the correct Buddhist life. To assist monks and nuns in this aspect, an individual male community has some 200 rules of right living, and female communities have more than 300. These rules deal with all aspects of life, including what foods may be eaten, what clothing must be worn, which prayers must be recited, when monks must awaken, and so on. While many of the rules are similar from one Sangha to another, others are different, so it is not possible to give a general answer to your question about what the monks you have met may receive as gifts. It is best to ask the monks themselves whether a certain gift would be appropriate. In fact, the receipt of gifts is the fourth of the Sangha’s purposes. 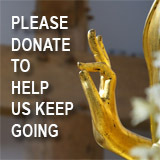 Buddhist laity want to engage in concrete actions that express their devotion. In a material world, these actions often consist of giving physical things. It is believed making these gifts to a Sangha is an especially holy act, just as many practitioners of western faiths believe gifts to churches and synagogues have a special meaning. In some monastic communities, the Sangha also serves as a refuge from worldly concerns and provides a place where a believer may cultivate his or her spiritual purity. While Sanghas are frequently found in the traditional Buddhist world, they have been rare in the United States until recent years. Some believe the increasing number of monasteries here is a sign of the maturity of American Buddhism. Andrew Tevington, a graduate of Tulsa’s Phillips Theological Seminary, is an assistant pastor at United Methodist Church of the Servant in Oklahoma City. His column is published twice a month in the Religion section. Send e-mail for him to revtev@cox.net or write him at 3102 Classen Blvd., P.M.B. 125, Oklahoma City, OK 73118. Please include your name and town.